Tuesday In October (TIO) has been making great music all over the Mid-Atlantic region since 2005. This five-piece melodic rock & entertainment band has played venues from DC to Deep Creek, Ocean City to Atlantic City, Philadelphia to Chapel Hill and everywhere in between. 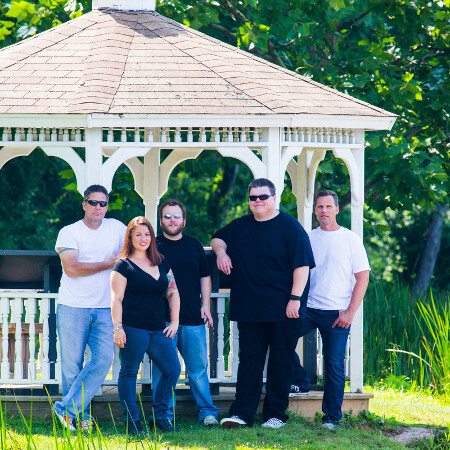 After nearly a decade as a working band, TIO has created quite the resume playing popular venues like Bally's Atlantic City, Power Plant Live Baltimore, Taste of Baltimore, Federal Hill Street Festival, Fells Point Street Festival, Hunt Valley and White Marsh "Summer Concert Series" just to name a few. Although these playing opportunities remain a staple, TIO has found a new audience and been expanding its venues to include weddings and private parties. Performing a mix of crowd pleasing, modern day and classic cover tunes, Tuesday In October is recognized for their excellent vocal harmonies and rock steady grooves; keeping their audience entertained and on the dance floor. Whatever the occasion, TIO comes with the professionalism, sound, and experience to take your event and push it over the top! Copyright © 2015 Tuesday in October. All Rights Reserved.